laser skin treatments are designed for those who are looking for more progressive solutions that are results orientated and require no down-time from your busy life. Laser treatments can now treat a range of conditions from hair removal to skin rejuvenation. Bella Pelle Body Clinic use only medical grade lasers and we make sure our staff are trained to the highest level. Hair reduction no longer has to be uncomfortable, inconvenient or time-consuming. With the power of the unique Gentle Laser Pro technology by Candela, permanent laser hair removal is now a reality. Our remarkable Gentle Lase Pro technology destroys the hair follicle affecting its ability to regrow, thus resulting in smooth, flawless skin. GentleLase Pro Permanent Hair Reduction can be used on any area of the body including, but not limited to, underarms, face, neck, shoulders, back, legs and bikini line. These treatments are safe, effective and require no downtime. The number of treatments depends on the hair colour, skin type and part of the face or body to be treated. On most occasions, 3 treatments are required for substantial hair reduction. Gentlelase laser hair reduction is a medically developed and researched laser system for the reduction of unwanted body hair. It remains the world’s most effective, comfortable, and fastest laser technology for hair reduction. 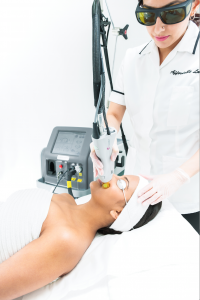 During a laser treatment a concentrated beam of light is emitted for a fraction of a second (milliseconds), passing through the skin to the hair follicle where the energy is transferred to heat, significantly impeding the actively growing hairs ability to re-grow. Unlike older methods of permanent hair removal, that treat one hair at a time, laser targets large areas containing numerous hair follicles with each pulse of the laser, resulting in a faster and more efficient treatment. Hair grows in 3 cycles: Anagen (Active/Growing stage), Catagen (dormant/intermediant stage) and Telogen shedding/falling out stage. GenteLase Pro hair reduction is effective during the active or anagen stage, which is why multiple treatments are necessary to achieve desired results. The hair follicle absorbs the laser light and then converts to heat. The heat damages the follicle and destroys its ability to re-grow. Significantly less hair grows back with each treatment, ultimately resulting in your goal of permanent laser hair removal. This treatment may not be performed during pregnancy. Here at Bella Pelle we have added two cooling systems to our GenlteLase Pro, making it the most comfortable and pain free device on the market.- Air Cooling Compatible (ACC), which offers high air flow at a specified temperature, and Dynamic Cooling Device (DCD). 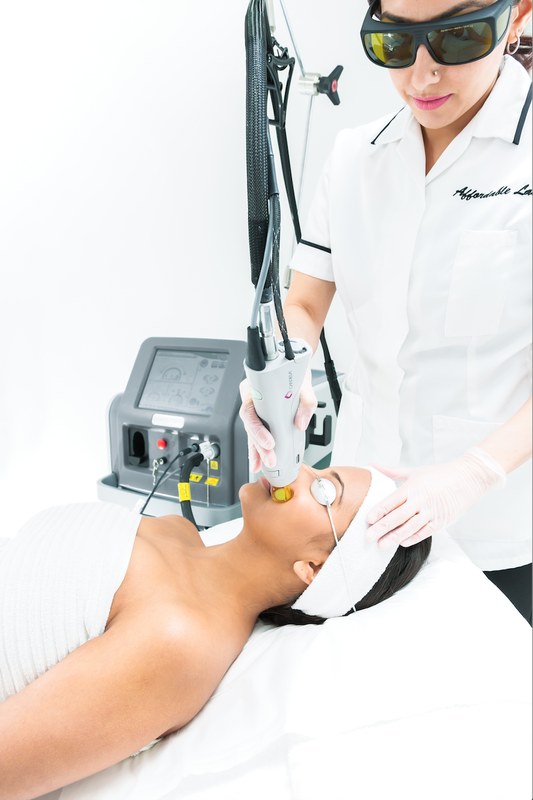 Candela’s patented DCD delivers low-temperature cryogen almost simultaneously with the delivery of the laser pulse. This choice of cooling options sets the GentleLase Pro apart from all other long-pulsed Alexandrite lasers. We request you shave the area being treated 1 day before your Laser Hair Removal appointment. Long hair is not required (3mm growth maximum, Excluding female facial area). If you recently have had wax or Epilady treatment, we recommend waiting 3 weeks for re-growth and then shave the area 1 day before your Laser Hair Removal treatment. Full sun exposure is to be avoided 2 weeks before & 2 weeks after your treatment. Fake tan applications are to be avoided 1 week before your treatment. Prior to all Laser treatments clients will need to meet with one of our laser technicians for a consultation and skin screening to determine skin type and suggested treatment plan and costs. We charge on time not area saving the customer money as they are not paying for excess area they will not use. We discuss your concerns in detail to determine your best course of treatment and payment options. UPPER BODY: Neck (front and back), Snail Trail, Under Arms, Arms, Torso, Shoulders, Back, Chest, Stomach. OR CALL NOW TO BOOK YOUR FREE CONSULTATION.